Absolute TopUp Tax is aimed at busy tax professionals who require an efficient, low cost and reliable solution. Absolute TopUp Tax has been designed ‘from the ground upwards’ using the latest industry-standard technologies by the same team that created the original PTP Software. Whether used as stand-alone or in a networked environment, installation is straight-forward, quick and easy! We are very lucky to have on our team the experience and expertise of Sarah Murray, Ashleigh Barnard and Laura Bourton, all of whom first worked for Tim Good at PTP Software many years ago. 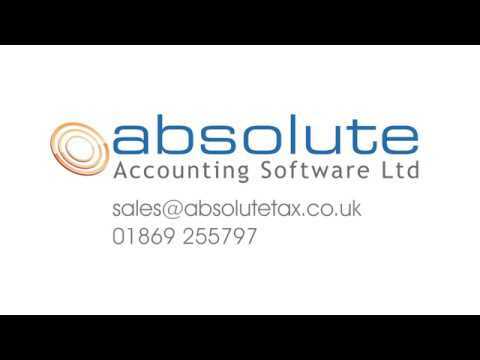 Absolute TopUp Tax is a single program which can launch Individual, Partnership, Trust and Corporation tax returns as required, making it incredibly easy to install and use. The software licencing is unique in that it is based upon a simple “pay as you go” process – you only pay for the returns that you need! You can buy as many or as few licences at a time (minimum five per order) enabling you to spread the cost through the year as your need for licences arises. You then choose whether to use your licence allocation to prepare and file Individual, Partnership, Company or Trust tax returns (for example if you buy five licences for just £25 you could file three Individual, one Partnership and one Company tax return). Please note - if you are using the Topup tax software to file a CT600 Corporation Tax return, you will need to have your Accounts already saved as an iXBRL file to attach to the online submission. Buy additional licences through the year as and when you need them. If you need 200 licences or more you can benefit from our introductory offer and pay just £1,000 + VAT for unlimited use. Our trial download for Absolute TopUp Individual, Partnership, Corporation and Trust Tax Return is available in our Free Demos section. We do offer a migration routine from our major competitors where possible. PLEASE NOTE - All licences expire 31st March 2020. The TopUp Tax software does not run on WXP, you will need Windows 7 or later.